Business as Mission (BAM) is a worldwide phenomenon where Christians with business knowledge and know-how apply their skills to set up sustainable businesses in Australia and the world. This 3 hour workshop is designed for Christians with an interest in business to explore Business as Mission methods as a way of assisting people to overcome poverty and other challenging barriers. Our focus for the evening is to ideate and explore models around helping marginalised people start and be successful in their own businesses, or building for-profit businesses to employ others in the community. Using ideation methods in small groups we will design one or more potential Business as Mission ideas for feasibility in Australia or overseas. Using the Business Model Canvas CO.STARTERS version as a basis, we will use lean startup principles to test the concept against clearly defined success factors. Once ideas are mapped out we work on designing a refined model, testing the business ideas with other teams and using CO.STARTERS tools. As the workshop concludes, you will come up with clear actionable steps that can be taken in the next hours, days weeks, and months to move ideas forward in your church community or with Christian business colleagues. All materials, parking and refreshments included plus outstanding Christian business facilitators and mentors. We will work closely with you before, during and after the workshop to help you ideate or start in Business as Mission, and connect you with the right community of Christian supporters! 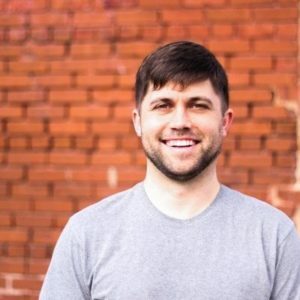 Will has a background in the corporate world and nonprofit realm supporting hundreds of cause driven startups in Asia and around the world. In 2012, he co-founded his first business, Wee Care Diaper Service. Since then he has co-founded The Meeting House, The Chattanooga Fellows Program, Red Bank Chapel, and Mission Studio. Will has a Masters of Divinity and brings a wealth of knowledge around entrepreneurial activities for the Kingdom of God. 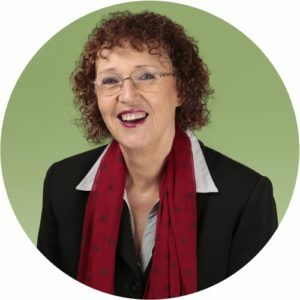 Margaret is a serial entrepreneur having founded several successful higher education and training businesses in Australia. Margaret has been a member of Business as Mission (BAM) groups for many years will work with you as your personal BAM mentor, talking with you prior to the event, at the event and connecting you with the right BAM resources and grant opportunities. Margaret is a certified small business mentor with CO.STARTERS and manages CO.STARTERS in this region. She is a specialist in entrepreneurship in further and higher education, including a course convener of post graduate studies in entrepreneurship and currently writing the Bachelor of Business, Entrepreneurship for a large international university. Margaret connects businesses and organisations with government assistance and grants through her work as the Chair and facilitator of the EXPRESSWAY business network, a network founded by the Department of Innovation, Tourism Development and Commonwealth Games, with Regional Development Australia, TAFE Qld and Microsoft as partners. Margaret and husband Dr Ron Aspin enjoy short term missions and recently missioned in Laos. 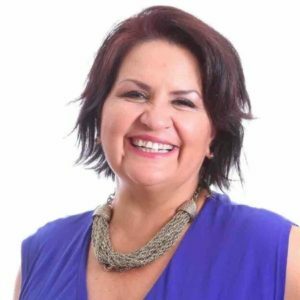 Jackie is a fully Accredited DISC Consultant and Facilitator, a Trainer and Assessor in the Enterprise Sector and Small Business Owner for 15 years. Jackie completed the CO.STARTERS nine week program and Facilitator training in 2017. 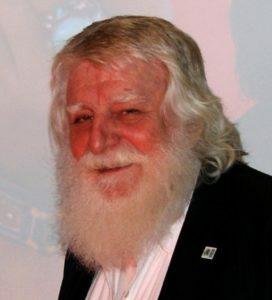 Rod is an inventor and many times entrepreneur, and has been involved in social enterprises for many years. Hope Rebuilders latest project is to build a centre which will provide a space they can welcome refugees, intellectually and physically challenged individuals, homeless, work for the dole people, parolees, seniors and community service people as well as volunteers and social services interns. Participants will be trained in construction industry related trades and skills, hospitality and retail. Some may progress on to do business courses. The Center itself is a place where building companies, hardware stores, white-goods retailers and furniture stores can divest themselves of excess stock, second hand or used stock, slightly damaged or “unsaleable” items which can be lovingly restored, repaired or renovated and resold. Profits from this social enterprise will be used to support Hope Center for Housing and other charities in the social housing sector. CO.STARTERS began in 2013 in Chattanooga Tennessee USA as a way of building the local economy, one new business idea at a time. Written by Christian business people and Pastors, it has rapidly spread all over the USA and New Zealand, and has been in Australia since October 2017. To date 17 Christian business people and mentors have been trained and certified to run the nine week program in Australia, with more training at Alphacrucis College on Tuesday 23rd and Wednesday 24th October 2018. Talk with us if you are interested in doing the CO.STARTERS Facilitator training, along with attendance at the GET STARTED – BAM workshop! 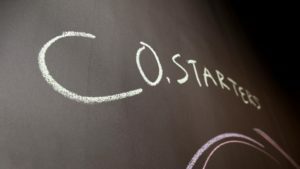 By becoming part of the CO.STARTERS community, you are automatically connected to all the resources and ideas worldwide and you will be supported by the best facilitators and mentors in the world.That’s what the ‘Co’ means in CO.STARTERS – a community of ongoing support and resources. Alphacrucis College (AC) is at the forefront of equipping leaders for careers of influence in theology, ministry, business, leadership, teaching, music, chaplaincy and counselling. AC has a rich history of ministry training, having taught and trained thousands of Christian leaders in Australia, New Zealand, and throughout the world. AC is a leading Australasian Christian College with a reputation for excellence in training, teaching, and research.